Ribeira Grande ( Portuguese for large river) is a municipality on the central part of São Miguel Island in the Azores with a population of 29,318 inhabitants. The seat of the municipality is the city of Ribeira Grande with a population of 5,300 inhabitants and is the second largest city in the island of São Miguel in the Azores. 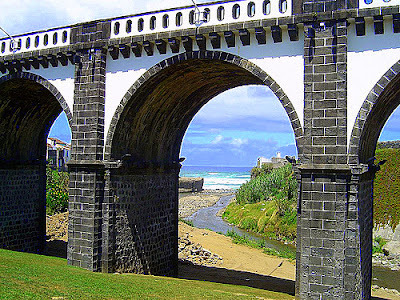 Located in the north-central region of São Miguel northeast of Ponta Delgada, Ribeira Grande is picturesquely situated on a volcanic plateau above the sea. The town is a charming one and worth a stop for its magnificent tree specimens, municipals gardens, baroque and Manueline architecture, and the crater lakes and hot springs that are found close by the city. The first settlers of Ribeira Grande came at the turn of the 16th century. They were attracted to the swift-flowing river streams nearby and built many watermills as a way to pay rent to the rulers of the land, the “Donatarios”. 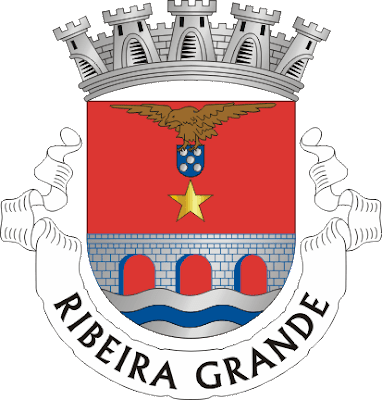 Ribeira Grande was finally chartered as a town in 1507 by King Manuel. The town was destroyed in 1563 by a volcanic eruption, but rebuilt soon after. During the 18th and early 19th centuries, Ribeira Grande flourished economically from its wool industry, the development of which owed largely to the arrival of the French workers during Louis XIV’s reign. The French brought their knowledge of the manufacturing schemes of Jean Baptiste Colbert, the 17th century French minister of finance famed for his mercantilist skills. 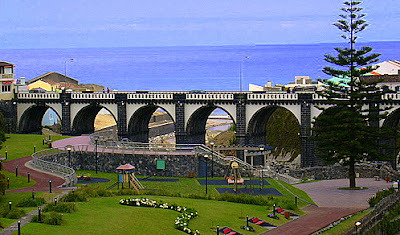 Recently, Ribeira Grande was designated a city in 1981. Today, tourism in Ribeira Grande is relatively thriving. While the city is small, it is rich in attractive charms. The town’s historic center is one example of its many charms. Much of the urban architecture in the center dates back to the 17th and 18th centuries, when the town was rich and prosperous from its wool and linens. The Town Hall is one example. This building is a typical display of Azorean architecture from the baroque era, constructed using stone basalts and featuring an impressive set of exterior stairs. 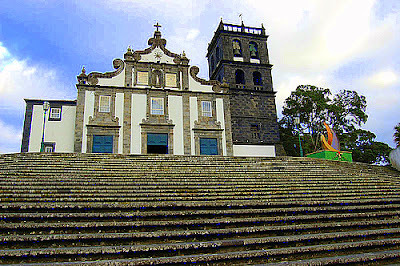 Ribeira Grande is also full of beautiful church buildings as well, among which include the “Nossa Senhora da Estrela”, “Nossa Senhora da Conceição” (Our Lady of Conception), “Igreja e Convento de São Francisco” (Church and Convent of Saint Francis), and the “Espirito Santo” (Holy Spirit); this latter 17th century church is one of the most splendid Baroque structures in all of the Azores. Examples of Manueline influences include an 18th century bridge with eight arches, which crosses over the river along which you’ll find old flax and wool spinning mills still standing. There are also old manors and mansions in and around that add even more nostalgic flavor to the city. Ribeira Grande offers much more than just old, elegant architecture, however. The Igreja da Nossa Senhora da Estrela, for example, showcases the artistic skills of the locals; it is a glass showcase of small figurines molded from bread dough, Arabic paste, and alumen that collectively represent the Bible’s new and old testaments. The Municipal Gardens are also a botanical treat, home to various tree specimens including the New Zealand Christmas tree. Of archaeological interest is the O Fontenário (the Fountain), the remains of a 16th century fountain visible below ground level. It is one of the few remnants of the town destroyed by the 1563 volcanic eruption. In and around Ribeira Grande are interesting natural attractions like the Lagoa do Fogo. This lake is an ancient crater and can be reached by hiking paths. The“Serra de Água de Pau” is also nearby and together with the Lagoa do Fogo and the surrounding area have been designated a Nature Reserve. Also nearby Ribeira Grande is the Caldeira da Ribeira Grande, which is an area of bubbling hot springs, lush groves of trees, and a small spa resort. The Lombadas is a little further away from Ribeira (about 7 miles) and is a valley with lush vegetation, high hills, and streams of naturally carbonated spring water that produces the “Agua das Lombadas”, a sought-after of bottled water in Portugal.